You must wonder what it took to make me go through The Love Project. As with all big decisions, it takes something dramatic. 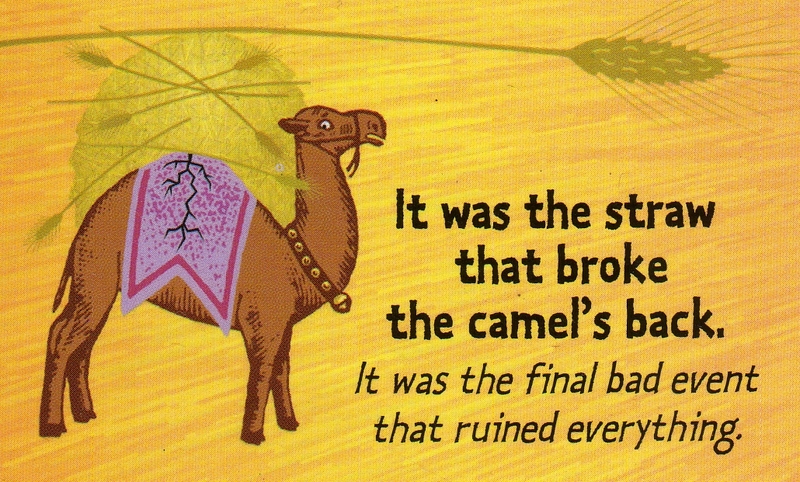 It took one last straw to break the camel’s back to motivate me to want to change my life or a particular aspect of it. Until then, my actions in love were governed by complete chaos. I had no plan, no blueprint, no guidelines, no personal rules to live by. I constantly danced around others who showed some interest or another in me; didn’t know what I deserved and how to ask for it. I had been going in and out of fleeting relationships ever since I could remember. Until one day when I met a charming man. He was so different from any of the other guys I met before. He was intelligent, funny, he had a sparkling personality and when I was in his company I felt like a blossoming flower. I thought he also liked me the way I did and when I pushed him to find out the truth, he told me he liked me as a friend but that he wasn’t looking for a relationship. I felt vexed. I felt more rejected than I ever felt rejected before because for me I knew he was the One I had been looking for. I couldn’t let go and I managed to make a complete fool of myself trying to convince why me and him were such a good idea. I humiliated myself so much in front of someone I respected that I had no choice but to change something. I didn’t know what it was that I had to change. I didn’t know it was my low self-esteem and almost non-existent self-love that was the source of all my suffering in love. But I knew that something had to be done and for something to be done, I knew I needed a plan. And that’s when I came up with The Love Project. From then on, every single step I took was a small victory, every book I read brought me closer to understanding the source of my perceived ‘misfortune’ in love, every date I went on brought me closer to meeting the man I am now going to marry. Essentially what The Love Project gave me was order inside chaos. 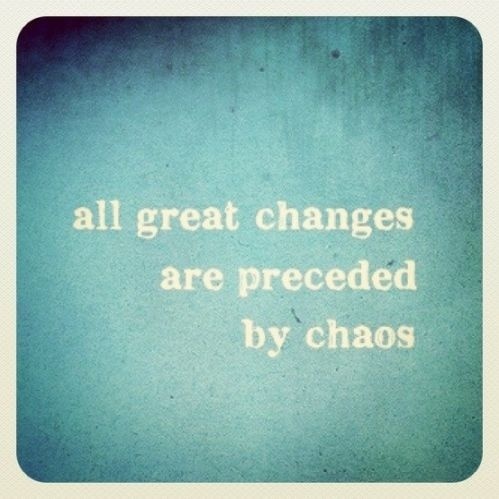 Nothing can ever grow inside of chaos, but chaos is not all bad news. What chaos represents is the intrinsic necessity of order that is sure to follow. We need things to get really bad before they get better, it’s the universal law. And it wasn’t until things got really humiliating for me, that I was capable to move out of the drama of my own creation. It was that last straw that broke the camel’s back that brought me to finding the solution that lead me to finding the love I deeply craved and yearned for. What about you? Are you still in an acceptable level of chaos or have you reach the state that calls for action?